In 2007 I emerged from an induced coma in hospital to learn I had been asleep for seven weeks. Without boring you with the details, I found I could look at things and see beauty in what I used to take for granted. I had always been a keen photographer but decided to take the leap and study the art of professional photography. This filled in many of the gaps in my knowledge and gave me the confidence to work full time as a professional. The shot of the office building is one of the first photographs taken with my newly acquired Canon 5D MkII. The polarising filter made the shot possible with sun glaring off the building. 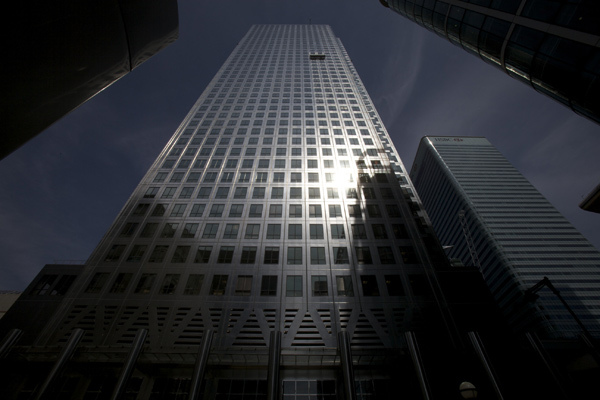 However, security guards soon moved me on as I was in the heart of London’s financial centre, Canary Wharf. I find that promoting myself is the hardest part of being a professional and therefore I really appreciate sites like Photographers Selection helping me to put my work in front of many potential clients as possible. This entry was posted on Thursday, February 22nd, 2018 at 2:59 pm. It is filed under Architecture / Interior, Artist Profiles, Events, Stories, Travel and tagged with building, Canary Wharf, David Burge, Docklands, London, office, photography. You can follow any responses to this entry through the RSS 2.0 feed.